Visiting Houston at any time of the year is exciting; there’s great beaches, fantastic art and culture along with attractions such as Houston Zoo and the botanical gardens. Visiting over Christmas and New Year however is extra special and welcoming in 2016 is set to be a memorable occasion. 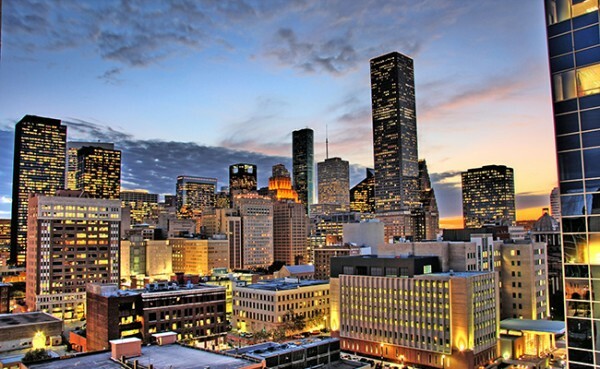 Houston is incredibly accessible; flights are available from 180 cities around the world, there are thousands of taxis waiting to whisk you to your next party and even 2000 limousines which can be hailed for the perfect New Year bar hop. The MetroRail system links all the major parts of the city and buses are plentiful and cheap. Even to head there for the busiest night of the year you’ll have no problem finding flights and ways of getting to your hotel before you start to party the night away. Every bar, restaurant and hotel will have their own take on how to celebrate the start of 2016 and you can still book tickets for club nights if you want to enjoy the music with those around you. One party to buy tickets in advance for is the H-Town Countdown 2016. It’s an all-drinks inclusive event which takes place at the Silver Street Studio, 2000 Edwards Street where not only can you hear mixes from Houston’s 104.1 KRBE DJ Tony Styles and DJ Bizonee, but as the clock strikes 12, the space above heads of those attending will fill with flying aerialists, confetti and a balloon drop. Book the VIP lounge for celebrity treatment. If you want to really spread the fun, attend the Houston city festival which lasts an incredible 4 days. During this time over New Year there’s always going to be something going on which this year will include torchlit parades, firecracker spectaculars and celebrated street performers entertaining the crowds. There’s accommodation to suit every budget in Houston; from hostels to 5-star luxury. It’s a good idea to book now for last minute rooms but if you’re looking for inspiration then some of the most popular places to stay are Crown Plaza in Downtown Houston, The St. Regis Houston, La Quinta Inn and Westway Park. With 40% of proposals being made between Thanksgiving and Valentine’s Day, asking your loved one to marry you on New Year’s Eve whilst taking a break together will make the date even more memorable. Whisk her off to Houston for the festivities but don’t let her know about your plans. Whether you decide on a club night, street party or seeing in 2016 at your hotel with a sophisticated meal with champagne, she will be filled with joy as you present her with the small box which contains a sparkling diamond engagement ring. Whilst in the city and after you’ve slipped the ring on your finger, continue the New Year with a trip to find items to use for the big day. Click here for wedding rings in Houston and you can return home with them safely tucked away until you wed.